It takes a region to cultivate a transformative food system that is in right relationship to people, place, and planet. 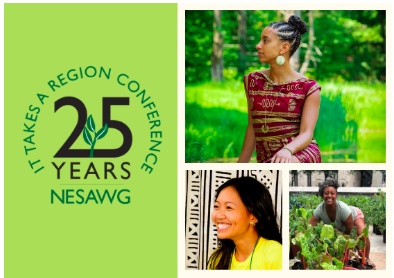 Get to know more about this year's theme - Cultivating a Transformative Food System - and the incredible plenary speakers who will be sharing their stories and solutions. Don't miss visionaries like Charlyn Griffith, Niaz Dorry, Leah Penniman, Lan Dinh, Neftali Duran, Brandy Brooks, and more!